AS Monaco manager Thierry Henry is reportedly interested in signing Mousa Dembele from Tottenham Hotspur when the season comes to a close. The 31-year-old will be out of contract with the north London giants in six months' time and he is free to discuss a pre-contract with an overseas club at the turn of the year. According to Le 10 Sport, Monaco are among the clubs keeping tabs on his situation with Henry keen a reunion with the midfielder with whom he worked in close quarters while being the Belgium assistant coach. 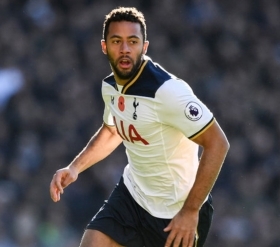 Dembele has been in a contract standoff with Spurs over the past year and he has shown no signs of changing his stance during the first half of the ongoing season. As such, he has seemingly fallen out-of-favour under Pochettino and he is currently behind the likes of Harry Winks and Eric Dier in the pecking order for a central midfield role. Meanwhile, any approach from Monaco for Dembele may depend on their French top-flight status which remains at real threat with their four-point gap to safety for the moment.